Dhikr — The Contemplative Life. Outside of daily ritual prayer, Dhikr is the primary spiritual practice of Islam, and is practiced especially within Sufism, the contemplative strand of the faith. The term itself means "remembrance" or "recollection," and the methods associated with Dhikr are used to bring the practitioner to remembrance of God. The fundamental practice that is typically associated with Dhikr is the repetition of a name or attribute of God. This practice is also sometimes called tasbih, and can be done audibly or silently, individually or collectively. "Let your heart be in such a state that the existence or non-existence of anything is the same – that is, let there be no dichotomy of positive and negative. Then sit alone in a quiet place, free of any task or preoccupation, be it the reciting of the Qur'an, thinking about its meaning, concern over the dictates of religion, or what you have read in books – let nothing besides God enter the mind. Once you are seated in this manner, start to pronounce with your tongue, 'Allah, Allah' keeping your thought on it. Practice this continuously and without interruption; you will reach a point where the motion of the tongue will cease, and it will appear as if the word just flows from it spontaneously. You go on in this way until every trace of the tongue movement disappears while the heart registers the thought or the idea of the word. As you continue with this invocation, there will come a time when the word will leave the heart completely. Only the palpable essence or reality of the name will remain, binding itself ineluctably to the heart. Up to this point everything will have been dependent on your own conscious will; the divine bliss and enlightenment that may follow have nothing to do with your conscious will or choice. What you have done so far is to open the window, as it were. You have laid yourself exposed to what God may breathe upon you, as He has done upon his prophets and saints. If you follow what is said above, you can be sure that the light of Truth will dawn upon your heart..."
Thus Dhikr is a way of bringing the mind to remembrance of God, and possibly leads the practitioner to an experience of God at a deeper, spiritual level. The description above is similar to how many describe both Transcendental Meditation and (especially) Centering Prayer. The term Muraqaba is often used to refer to a range of additional Islamic meditative practices. Muraqaba is sometimes spoken of as a form of Dhikr and sometimes spoken of as encompassing a group of practices preformed in addition to Dhikr. The category of "Muraqaba" includes disciplines that are described as being similar to Lectio Divina, Vipassana, or even concentration practices such as Jhana meditation. 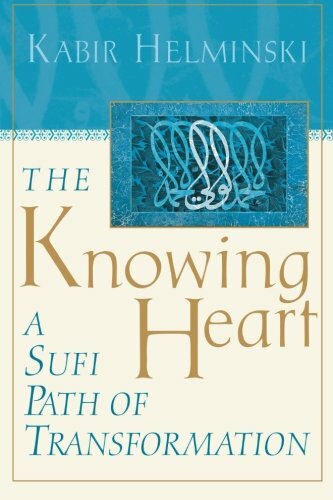 Sufism is far from a unified movement within Islam and each particular Sufi "order" have their own unique practices, especially relating to Muraqaba (i.e. anything in addition to Dhikr). Dhikr is the most widely used practice across Islamic sects. One way to look at the ultimate aim of practices such as Dhikr and Muraqaba over extended periods of time is in terms of the experience of fana – the complete annihilation of the ego in a state of "Union with God." Contemplatives from a variety of theistic traditions see this experience, and its effect on the character and inner-being of the experiencer, as a principle aim. Famous mystics such as Jalal ad-Din Rumi from the Sufi tradition are said to have reached this state. Although the typical non-monastic practitioner may not reach the ecstatic states described by the mystics, these practices are often seen as ways to "polish off the rust on the heart," and slowly form a more God-honoring character.